If you have used one of the major genetic genealogy testing services such as 23andMe, AncestryDNA or Family Tree DNA to test your autosomal DNA, GEDmatch may be a good option to help you get more out of your investment. GEDmatch is a third-party analysis tool designed to process raw DNA data and help its users lean more about their heritage, genetic makeup and increase their odds of finding new family members. This article explores some of this popular tool's best features and what it can do for you that testing services alone can’t. Note that this tool is not for everyone. The subject of DNA can get quite technical and has its own terminology. This should not discourage anyone who wants to dig deeper into the subject since there are plenty of resources to bring you up to speed right on the website under the “Learn More” section. Everyone’s genome contains their evolutionary history written in DNA which is comprised of four chemical compounds abbreviated as “A”, “T”, “G” and “C”. 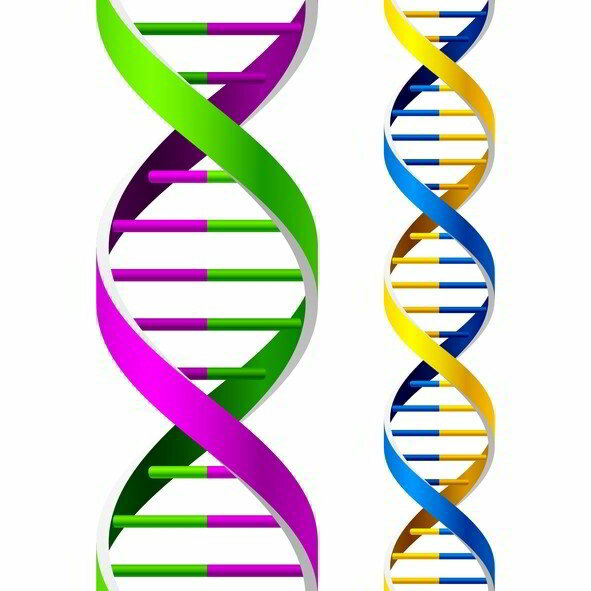 Inside our cells, the chemicals line up in pairs along a twisted double helix creating the biological code that runs our bodies. Patterns in people’s DNA differ because of random mutations that can occur when billions of letters of our genetic code are copied, during cell division, and then passed on from generation to generation. People who are related will share similar mutation patterns, while those who aren’t have fewer similarities. These similarities are used to find close ancestors such as genetic cousins. Why should I use GEDmatch? When you use one of the DNA testing services, you are limited to finding matches with other people using the same service. GEDmatch allows the users of any testing service to make matches as long as users are able to get access to their raw DNA data. This allows participation from a much broader sample space, increasing your odds of finding a match to another participant’s sample. Simply put, the more samples you have to match against the better your chances of finding a match. For this approach to be successful requires a critical mass of participation so a large enough sample base can be built. Obviously, with only a few hundred or even thousand samples to work with would not be enough to make the service useful. GEDmatch appears to have this covered since the website’s owners claim a base of more than 130,000 registered users. It helps that participation is free of charge and facilities for downloading DNA data are readily available from most testing services. The success of this tool in the long term will depend on the continued growth of its user base. Another reason for this tool’s popularity is that they provide a whole bunch of new ways to analyze your test results, some of which are only available here. In addition to this plethora of tests, the website also allows for GEDCOM files to be uploaded and linked to your DNA sample. Not only does this give context to the sample, but provides another way to locate family members who share the same ancestors. A search mechanism also allows their database of GEDCOM data to be searched by name or other data elements. Once you have registered and uploaded you raw DNA and GEDCOM information, you are ready to get started. Make sure you write down and keep your kit number and GEDCOM number since the tool will ask for these during normal operation. Your DNA may take a couple of days to be processed before you can do any of the DNA tests, but GEDCOM searches are available immediately. There are quite a few different types of analysis options to explore. For instance, you can examine your ethnicity, you can compare two DNA kits, and even check for archaic DNA matches. The test most people are interested in is the “one-to-many” matches. This test compares your raw data against every other DNA sample in its database to identify your closest genetic cousins. The sharing threshold can be changed to focus in on closer relatives or out to cast a wider net. The result of a “one-to-many” query will look something like the chart above which is ordered from closest (top entry) to more distant relatives. The “Gen” column of the chart lists an estimate for how many generations back you share a common ancestor. A 3.3 in the “Gen” column indicates maybe a 2nd cousin once removed or a 3rd cousin. The “Total cM” column shows how much autosomal DNA in total you have in common with this person. Note that the name, email and kit number of participants have been removed from this example for privacy reasons, but these are the critical details you will need to contact your closest matches. Another popular feature is the GEDCOM searches. Once you have your data loaded, you can search for name, date and place matches within other uploaded GEDCOMs loaded in the database. GEDmatch is a feature rich tool that provides capabilities far beyond what is available at any of the largest DNA testing services. If you yearn to learn more and do more with your DNA results, this website is perfect for you. It takes a bit of effort to create an account and upload your raw DNA and GEDCOM files, but the trouble is well worth it. Keep in mind that the website is free and run by volunteers. You may be compelled to donate to them to keep the site up for the benefit of all. Also check back often as an ever growing user base brings more potential matches and the site owners add new tests.